From Erroll Garner’s 1964 midnight performance at the Royal Concertgebouw in Amsterdam. Featuring Eddie Calhoun on bass and Kelly Martin on drums. Available in its entirety for the first time ever, exclusively for EGJP newsletter subscribers. Use the promo code in your email to download “Moon River” for free! Limited run, gold foil pressed 16” x 20” poster. 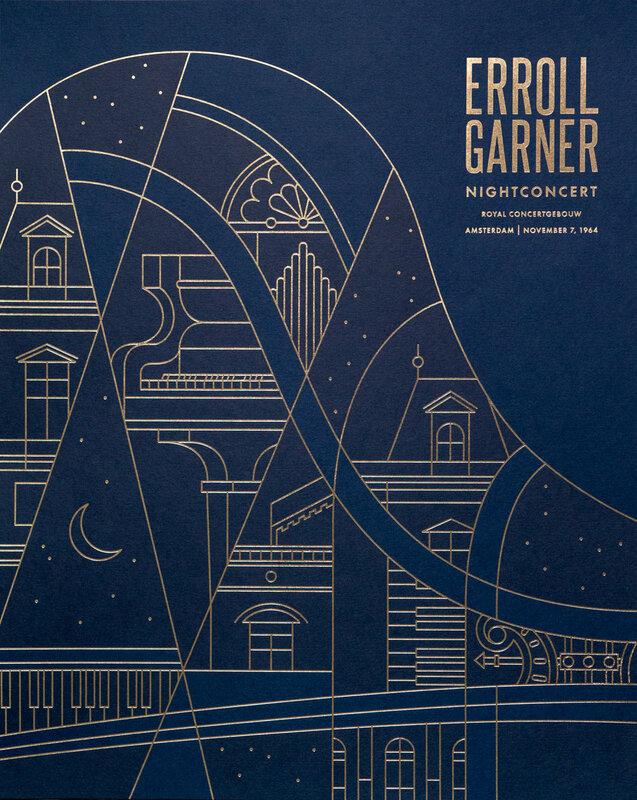 Featuring expanded Nightconcert album cover art, designed and pressed in New York state. Only 200 available. We're making the poster available to newsletter subscribers first! Get yours now before they're available to the public. Available 20% off for a limited time.